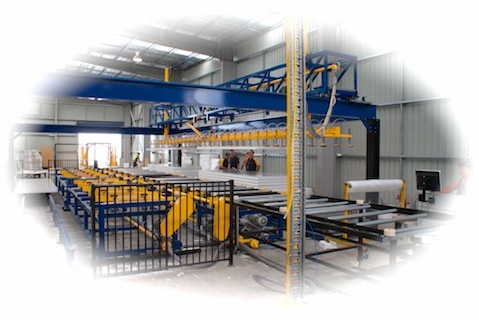 The MDI “Full Line” system allows production of complex architectural and secret fix style panels and very deep trapezoidal panel profiles not available on “Classic” lines. 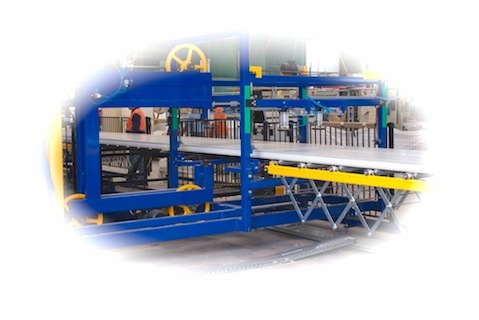 With roll in, roll out bottom forming bed options it also allows for quick changeover between various panel profile systems. 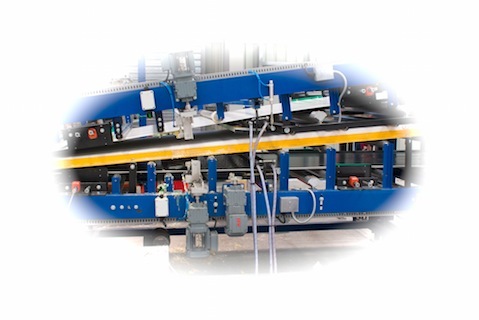 The MDI “Full Line” is a truly modular and therefore completely flexible system where individual modules make up the total system with distinct separate stations/machines for forming, trimming, gluing, pressing, etc. 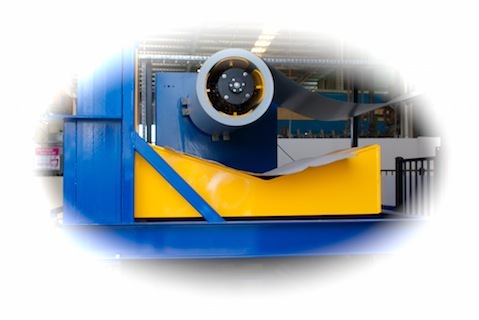 COIL HOLDERS – Options for coil handling range from basic mandrel type systems to cantilevered driven coil holders with coil cars. 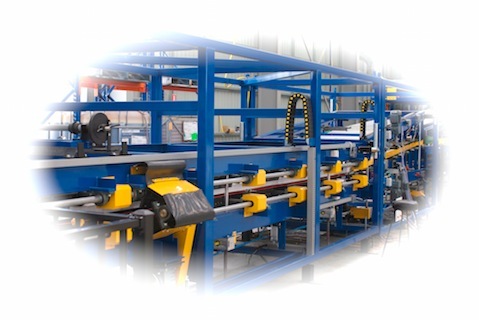 JOINT ROLL FORMING – The MDI Full Specification Line roll forming system is forming joints for wall, secret fix and roof profiles in a compact side transfer unit. 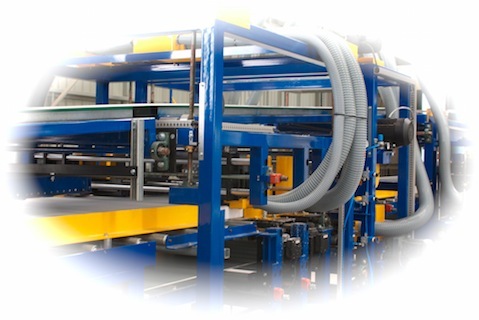 This full line roll-forming system is superior due to extra forming length and all forming being done prior to any core introduction. 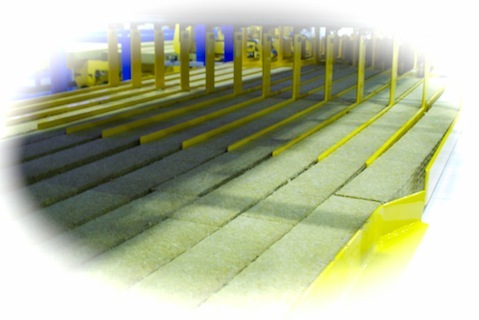 CORE LOADING – Options include a variety of cores such as EPS and Mineral Wool. CORE PROCESSING - For core trimming and sanding, etc. 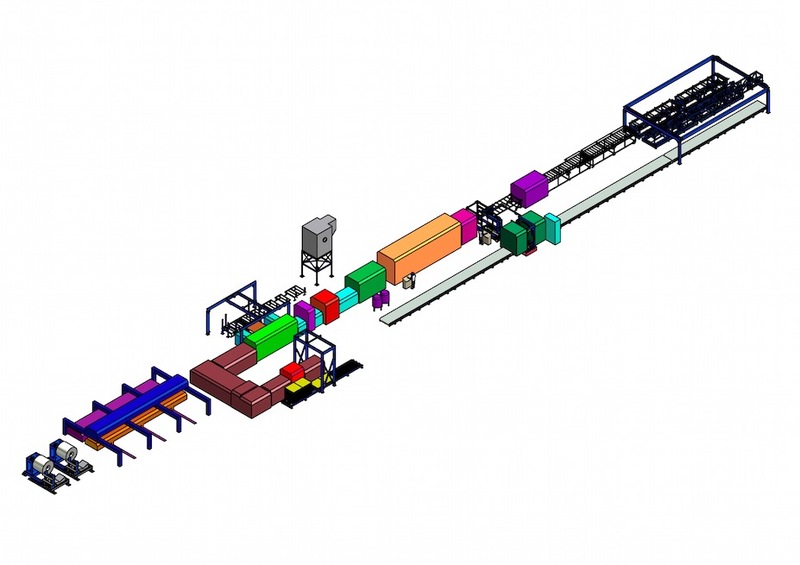 GLUE APPLICATION – MDI offer a variety of solutions including wiping and spraying systems. 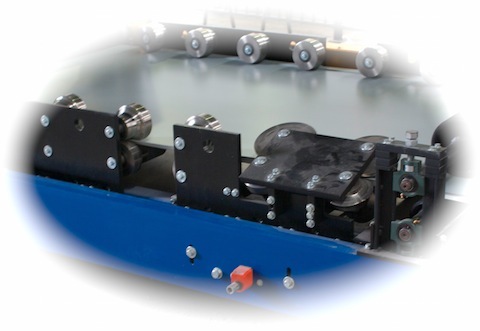 LAMINATING PRESS – Various length Roller Presses are available for different line speed requirements or a Caterpillar Press for ultimate laminating system. PANEL CUTTING – A range of panel cutting systems including the MDI Universal Bandsaw and Silent Knife cutting systems. 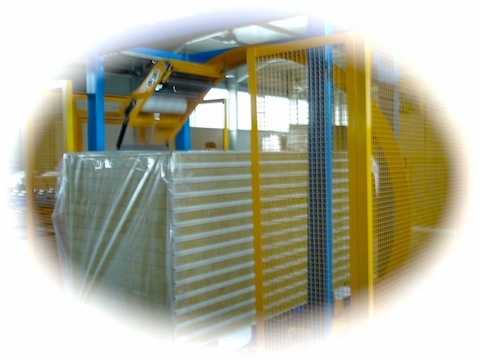 PANEL STACKING and WRAPPING– The Panel Stacking Systems can be fitted with the latest MDI designed Panel Flipper and Conveyor Systems as required.